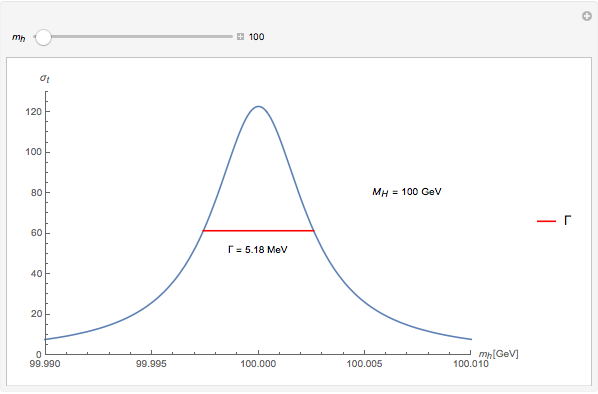 This Demonstration describes the variation of the Higgs boson decay rate , or Higgs width, as a function of the Higgs boson mass . The results are obtained using first-order perturbation theory. 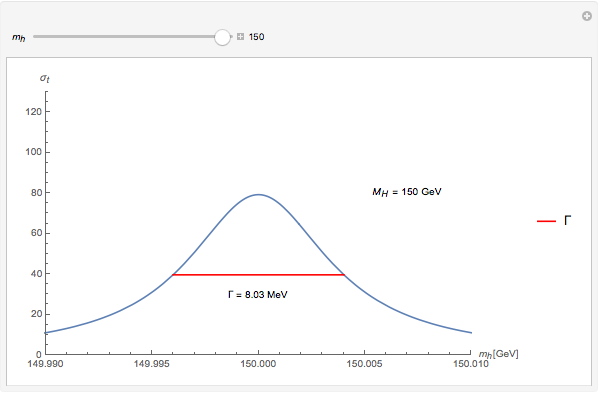 In fact, this plot shows the probability densities of the total energies released in Higgs boson decay. 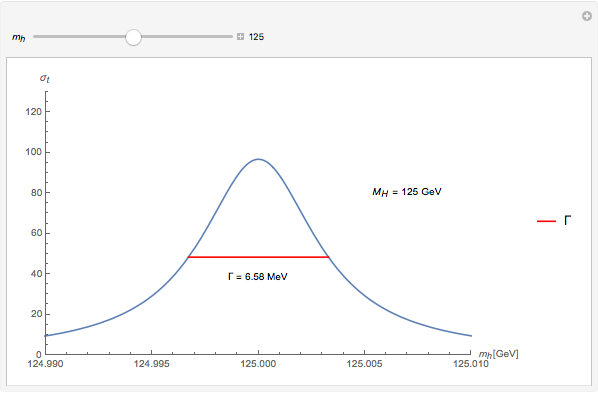 In other words, it represents the possible measurements of the Higgs mass, and is the most probable value; the different values obtained are consequences of the time-energy uncertainty principle. The mean lifetime is calculated as the inverse of the decay width , defined as the width of the distribution at the middle of its height. Caique Ronqui "Higgs Mass and Decay Width"